Join us for a special Professional Development Day for teachers facilitated by Mathilda Joubert. The recent Gonski report (2018) stated that an important goal of Australian education should be to ‘equip every child to be a creative, connected and engaged learner in a rapidly changing world.’ One of the Gonski 2 recommendations to achieve this aim is to place the general capabilities (e.g critical and creative thinking) at the core of our curriculum and teaching practice. The question that often faces educators is not whether we should bring more creativity into our classrooms, but how best we can do this. We will explore what creativity is, why it is important and how we could embed creative learning in everyday classroom practice. 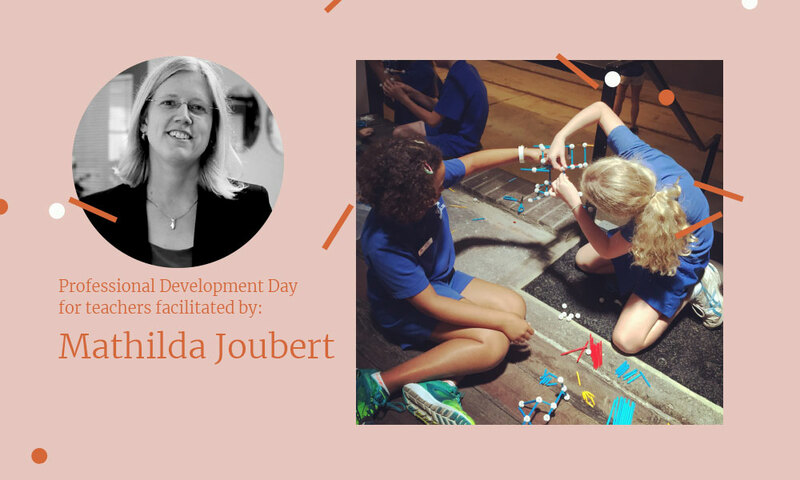 Mathilda Joubert is an experienced primary and secondary teacher, researcher, teacher-trainer and innovation consultant in corporate settings. She has been involved in the development of numerous 21st Century capability frameworks and assessment tools for schools and educational jurisdictions, including the UK, Lithuania, Hong Kong and now Australia where she has served as the ACARA expert advisor on creative and critical thinking since 2014 as part of the General Capabilities Advisory Group. Mathilda was researcher to Sir Ken Robinson and the UK’s National Advisory Committee on Creative and Cultural Education. Full details available here: Professional Development and booking form.